Even though official figures are not available as of now, trade experts believe that Mammootty's 'Madhura Raja' might have collected approximately Rs 2.9 crore at the Mollywood box-office. Mammootty's most-anticipated movie of the year 'Madhura Raja' directed by hitmaker Vyshakh hit the theatres on April 12. The film was released with a huge pre-release hype; all credit goes to Vyshakh's wise marketing strategies and a mind-blowing trailer that was released just a couple of weeks before the release. Initial reports coming out from theatres indicate that the film has succeeded in impressing fans of the actor, but reviews from neutral audiences are mostly mixed in nature. 'Madhura Raja' was released in 260 theatres in Kerala, and most of the theatres witnessed more than 80 per cent attendance in almost all release centres. In North Kerala, the film witnessed a grand opening, especially in the Malabar region, comprised of Malappuram and Kozhikode. However, in Palakkad and Vadakkencherry, no heavy rush was witnessed, and in the matinee shows, the theatre attendance was dropped below 70 per cent. At the multiplexes in Cochin, 'Madhura Raja' had as many as 16 shows in its opening day, and the film apparently collected Rs 5.25 lakh. From multiplexes in Thiruvananthapuram, 'Madhura Raja' collected Rs 9 lakh at an attendance percentage of 84. It should be noted that Mohanlal's 'Lucifer' had collected Rs 15 lakh and Rs 22 lakh from multiplexes in Cochin and Thiruvananthapuram respectively. Even though no official statements regarding the opening day box-office collections are being made until now, 'Madhura Raja' might have collected approximately Rs 2.9 crore from Kerala alone on April 12. 'Lucifer' had collected Rs 6.7 crore in its opening day, and had emerged as the second biggest opener only next to 'Odiyan' that collected Rs 7.5 crore. 'Madhura Raja' narrates the story of Raja, a goon from Madurai who has the heart made of gold. Unexpected twists in the life of his uncle made him visit the Paambin Thuruthu island, and after overpowering evil forces, he finally becomes the MLA of the constituency. 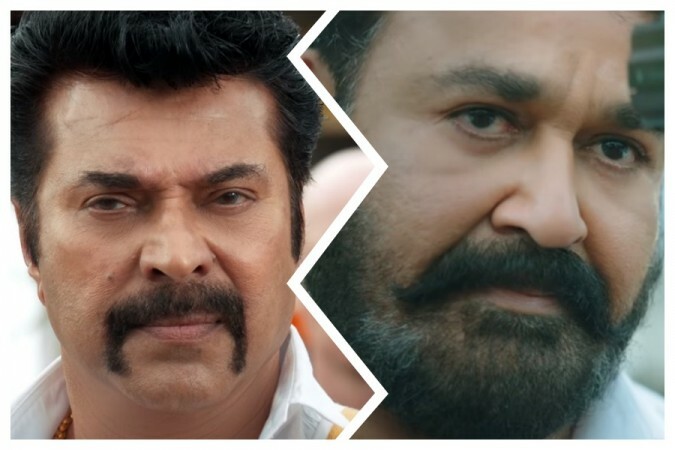 In the end credits of the movie, the makers also hinted that Mammootty will once again play the role of Raja on screen in a movie that will be titled 'Minister Raja'.